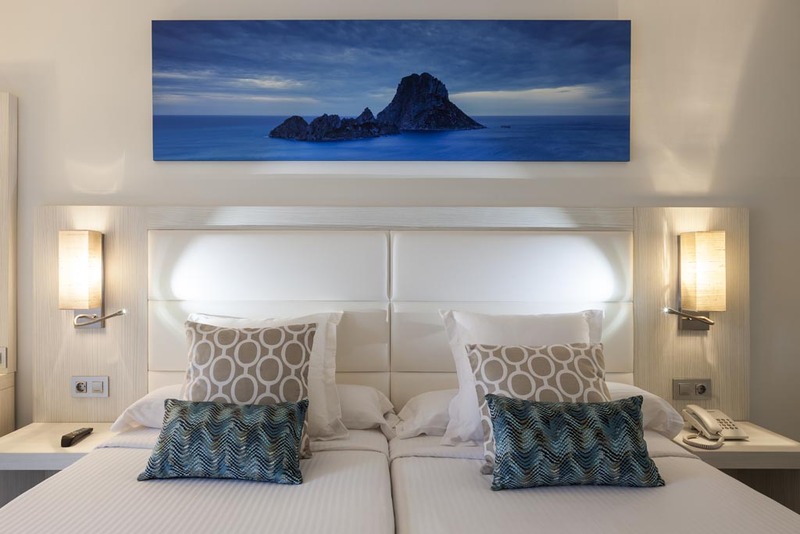 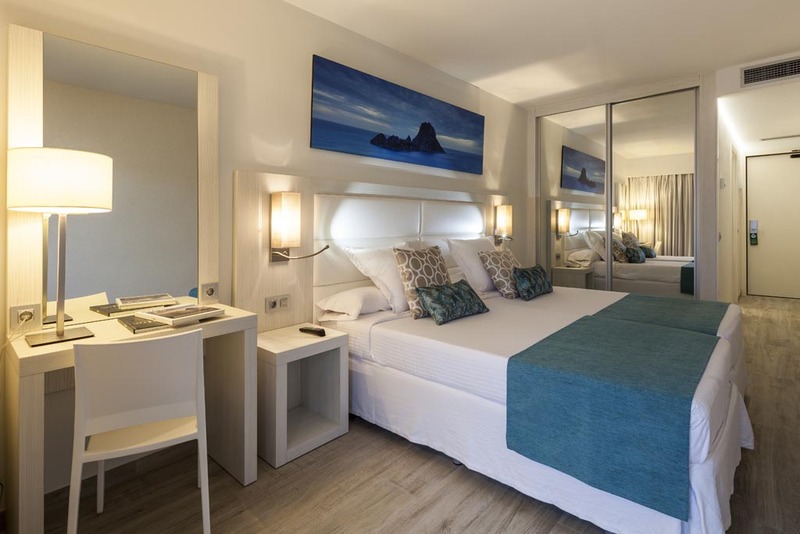 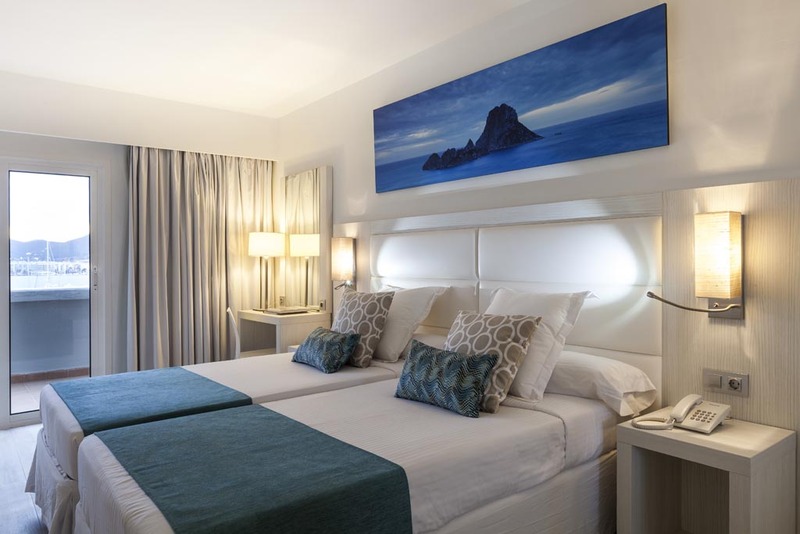 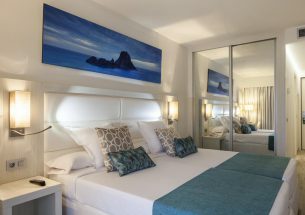 The spectacular Ibiza Corso hotel and spa is situated in Marina Botafoch, so you’re just a stone’s throw away from bustling nightlife, fashion-forward shopping and exceptional restaurants. 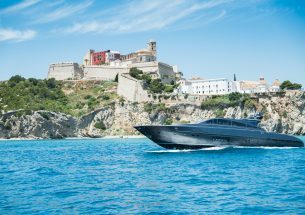 An area that oozes cosmopolitan spirit, Marina Botafoch is home to Europe’s jet set, who moor their super-yachts before embarking on a night of fine dining or fun-fuelled partying. 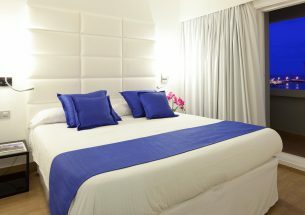 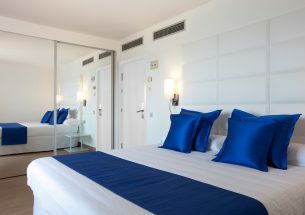 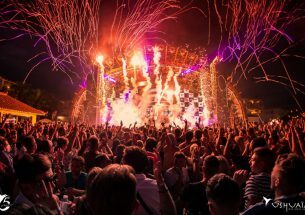 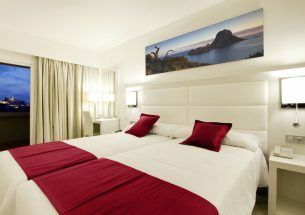 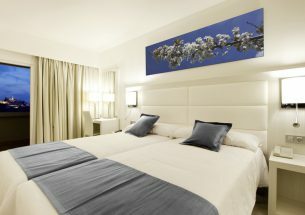 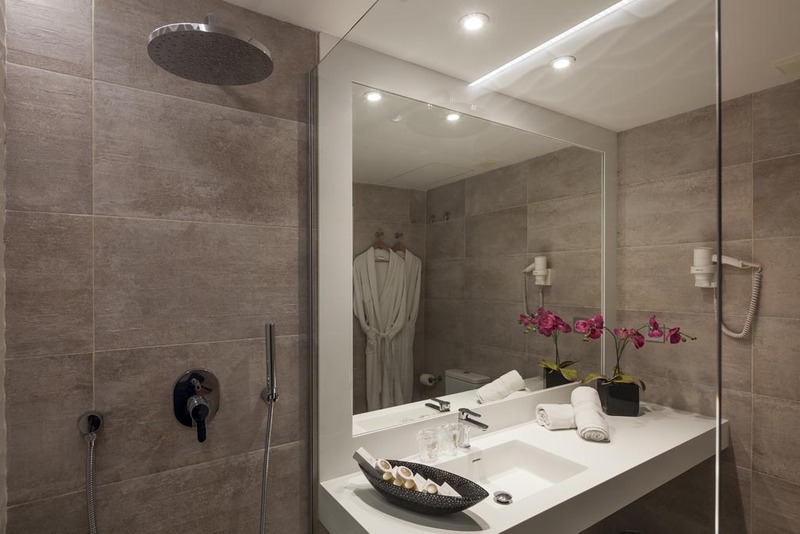 And at Ibiza Corso you’ll be in the thick of all that action but still in the calm, luxurious surroundings of the hotel. 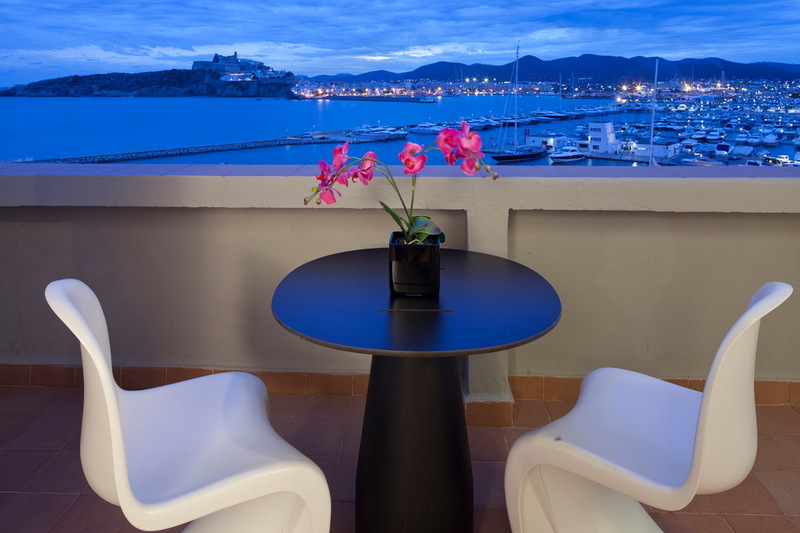 You’ll have views over to historic Dalt Vila and beautiful Formentera, a stunningly lit swimming pool and first class Mediterranean cuisine at El Restaurante, which boasts panoramic views over the sea. 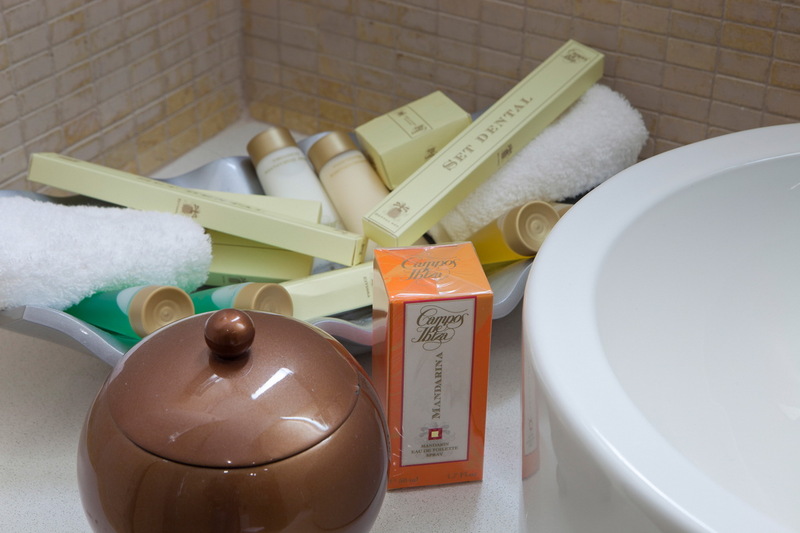 And you’ll have access to the sumptuous on-site spa, which offers a range of de-stressing and pampering treatments that will either cure from the night before or set you up for the night ahead. 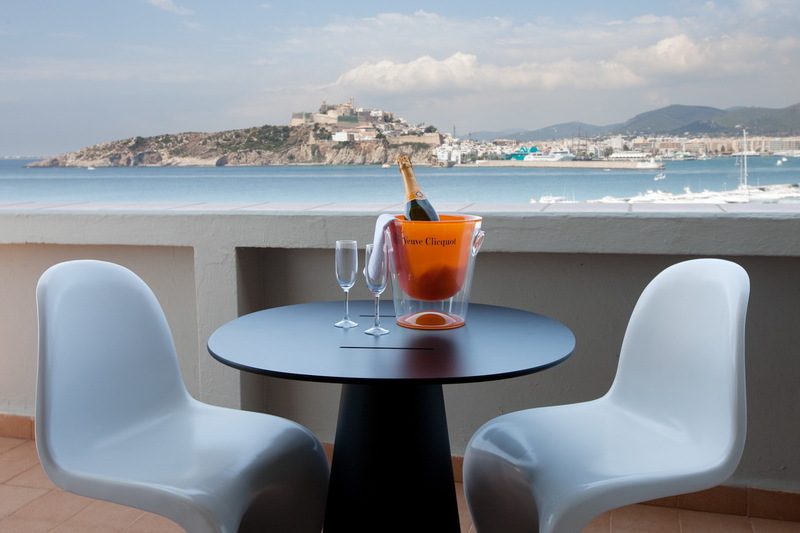 Silk pillows mean you’ll sleep like a baby – that’s if you can manage to pull yourself away from the stunning views of Dalt Vila out your window. 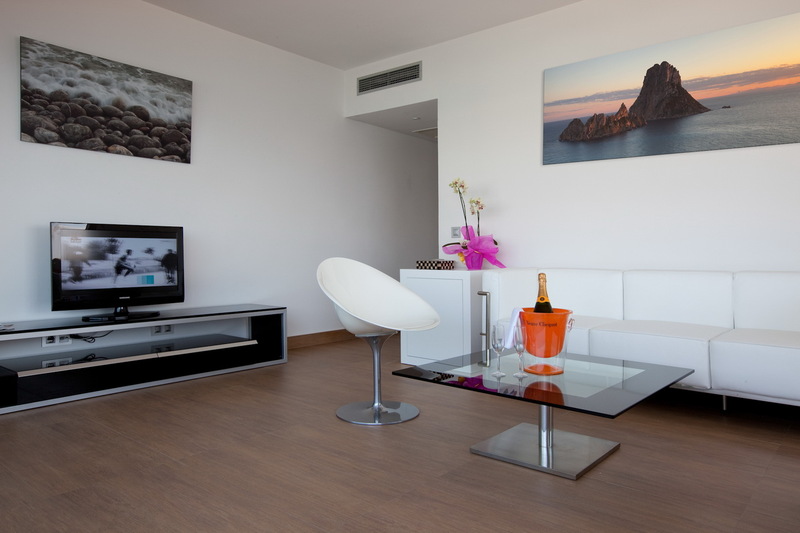 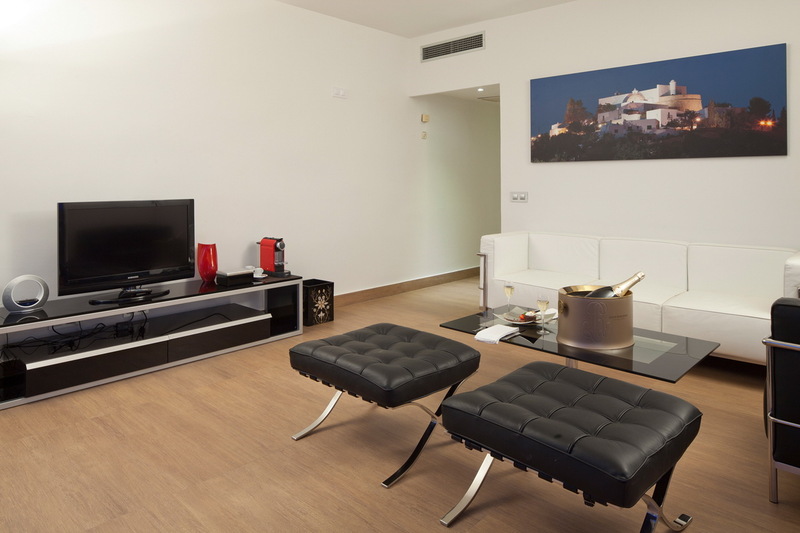 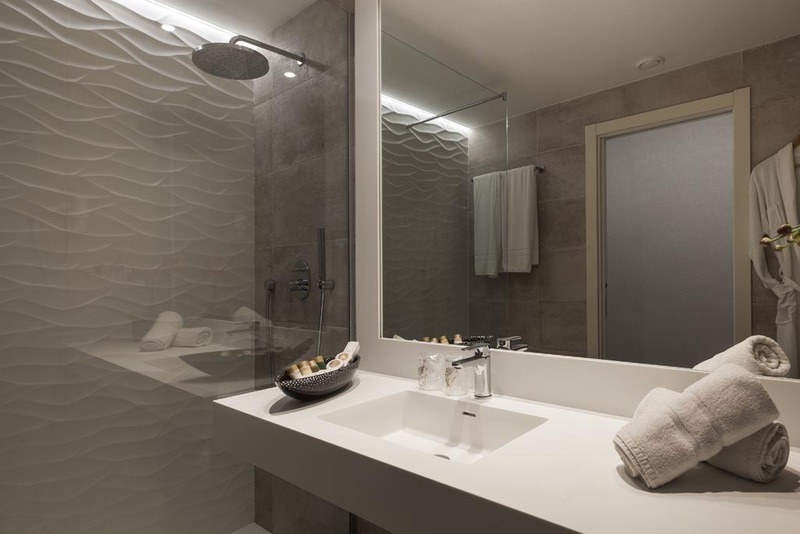 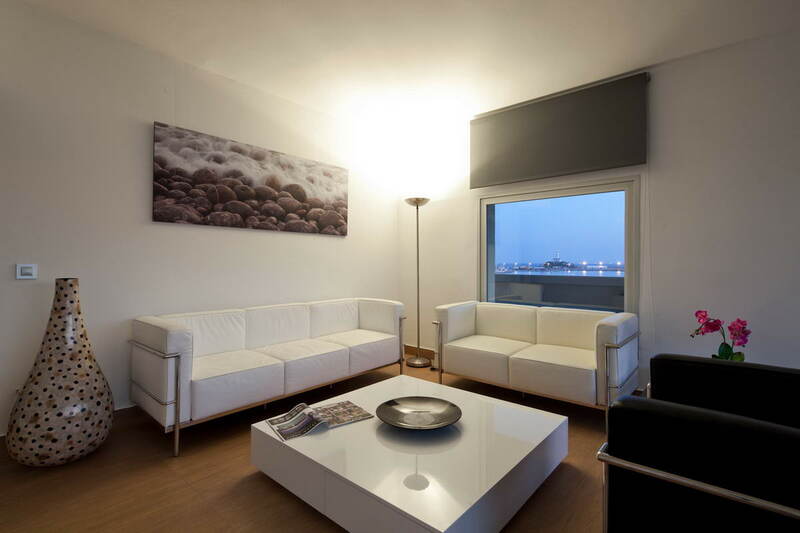 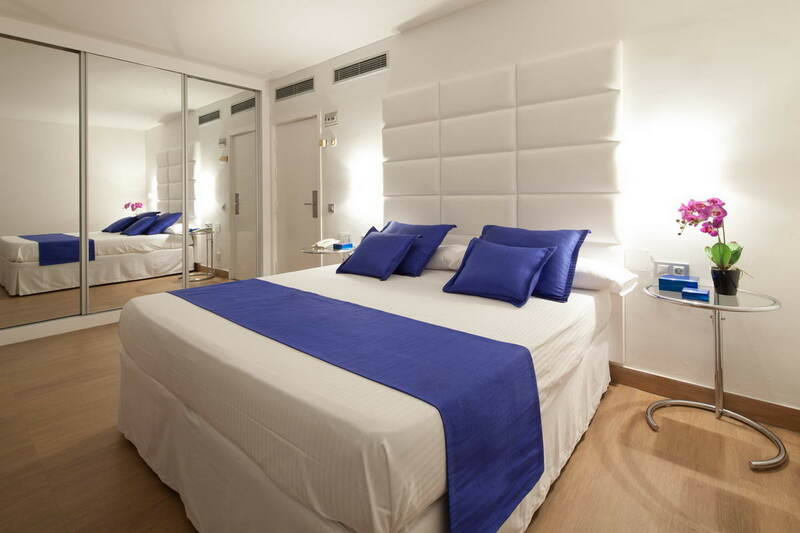 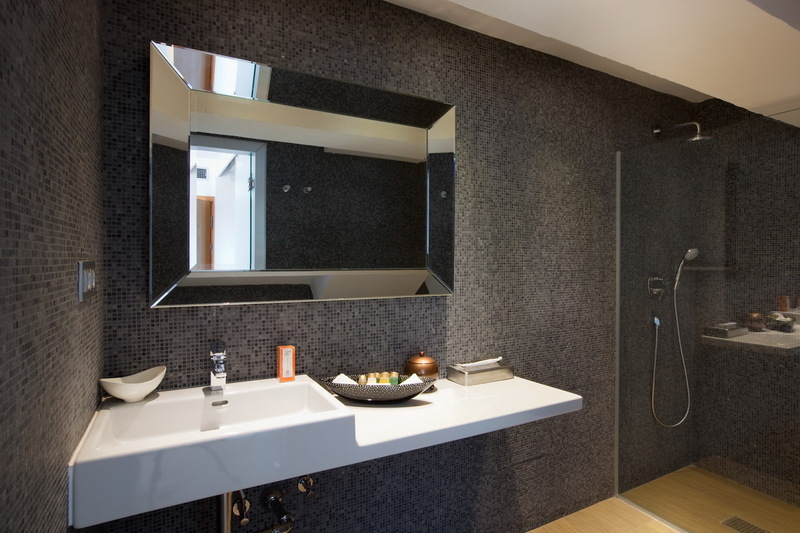 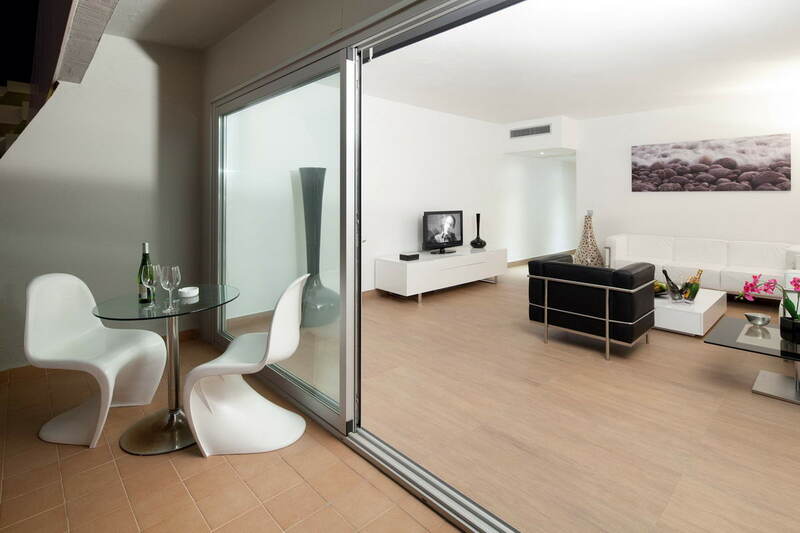 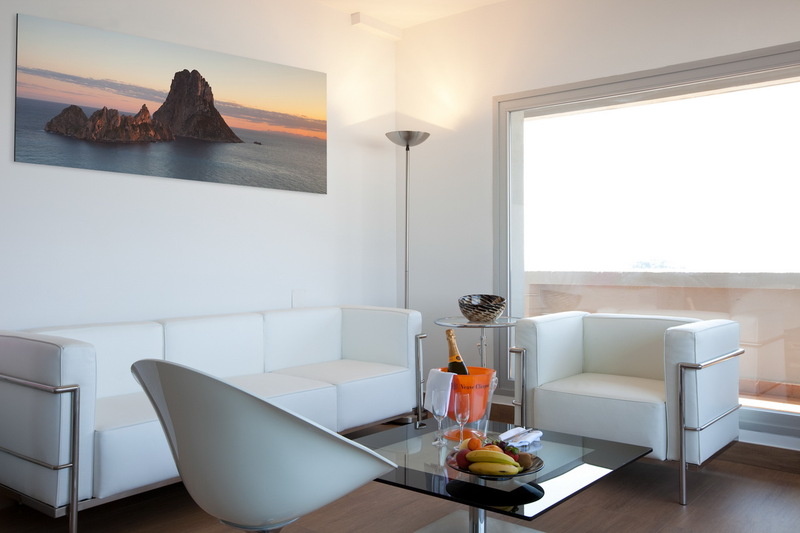 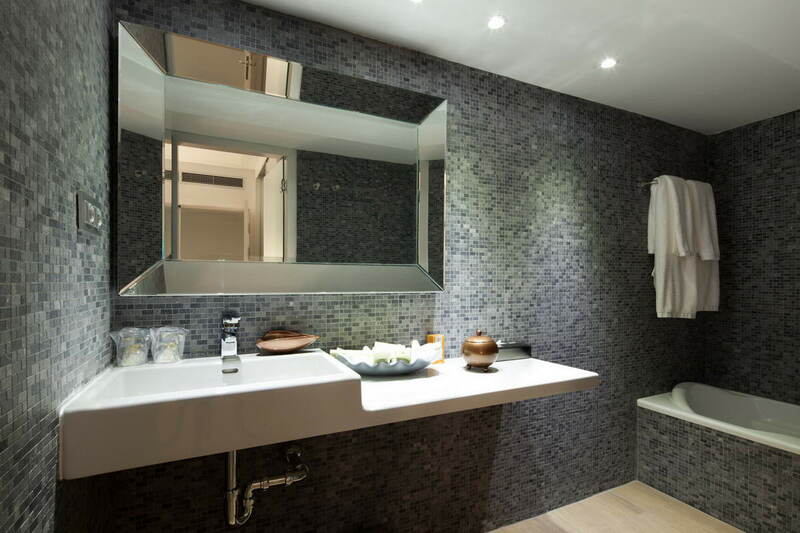 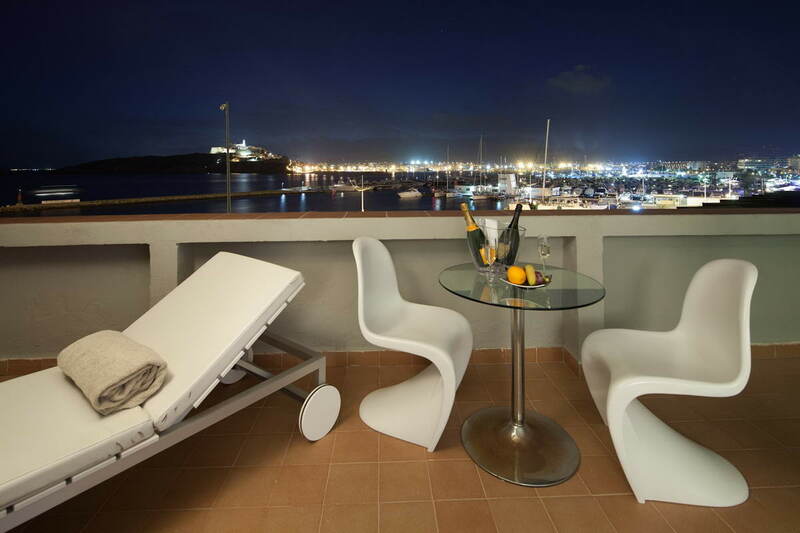 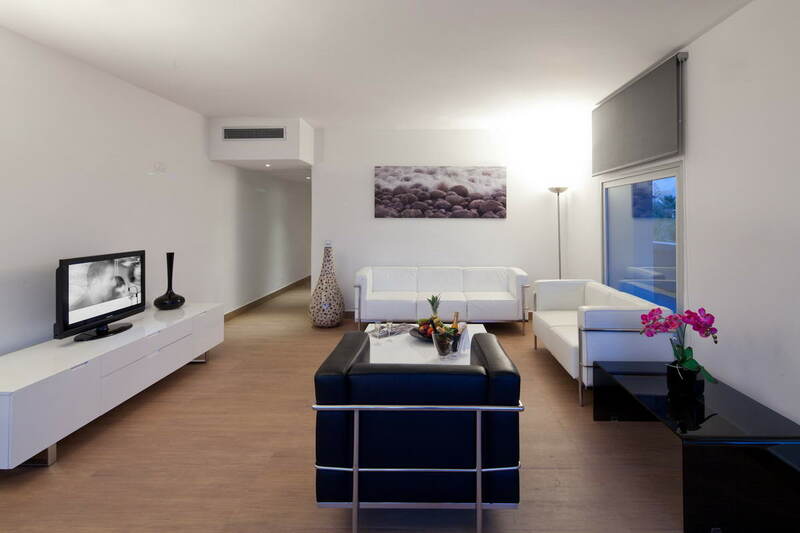 Chic, modern design, and views of Formentera and Dalt Vila mean you’ll be transported to the comfort of another world. 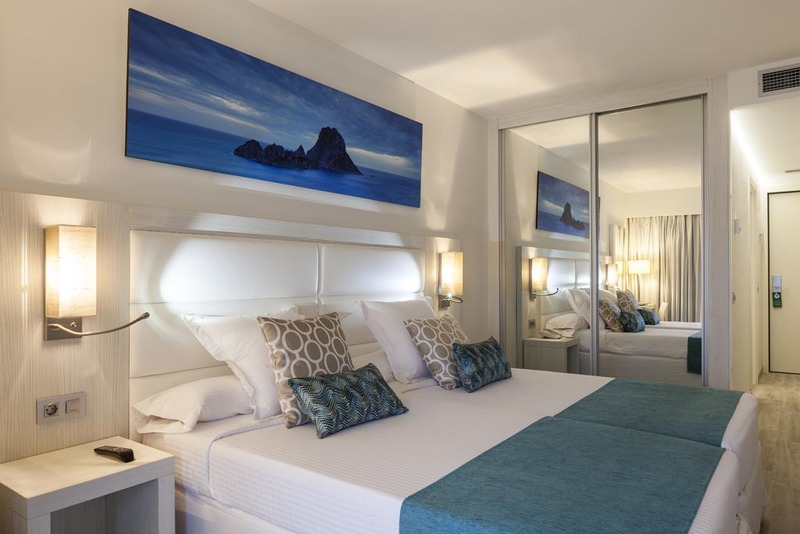 Fantastic if you’re travelling with children, these rooms allow you to revel in your own privacy while still being able to enjoy quality family time. 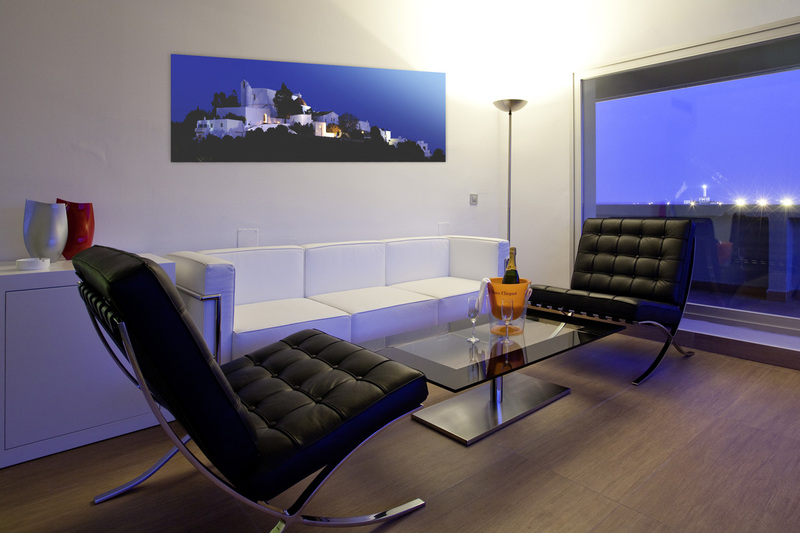 This impressive suite boasts glass walls that allow you to bask in panoramic views of Dalt Vila. 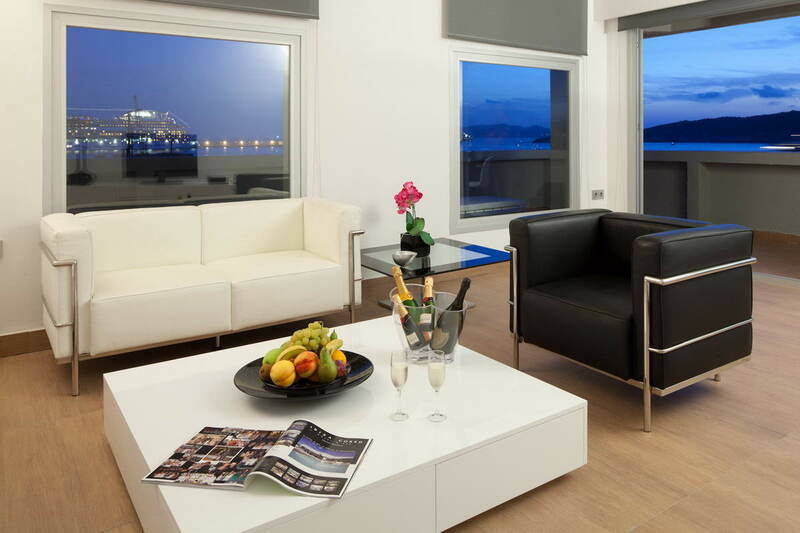 You’ll also have a private sitting room and terrace. 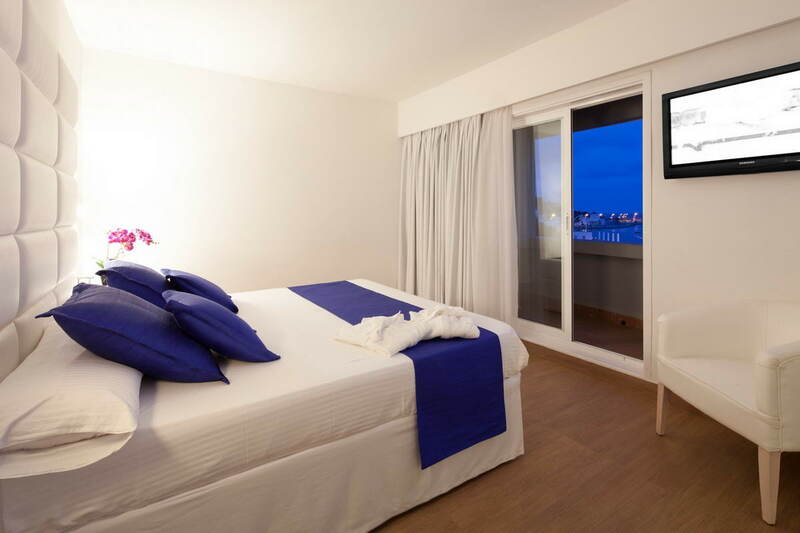 Gaze at your window at the views of Dalt Vila while feeling the softness of silk against your face as you lie in bed. 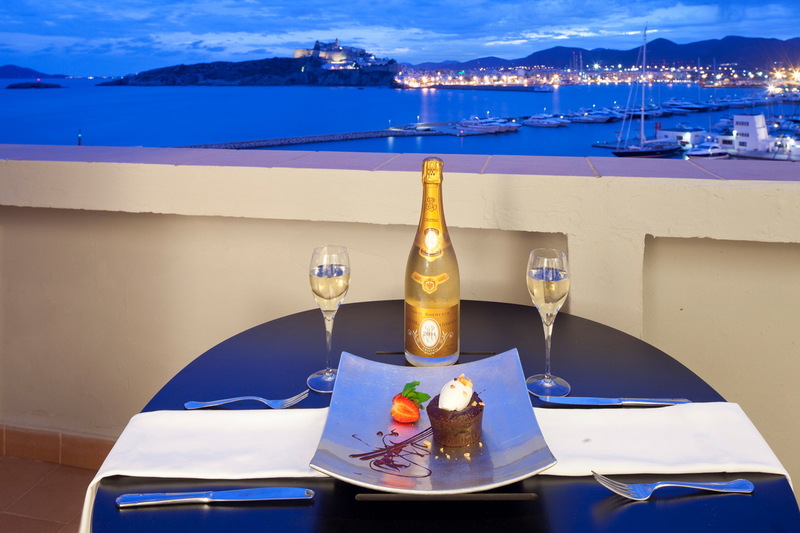 This is what holidays are made for. 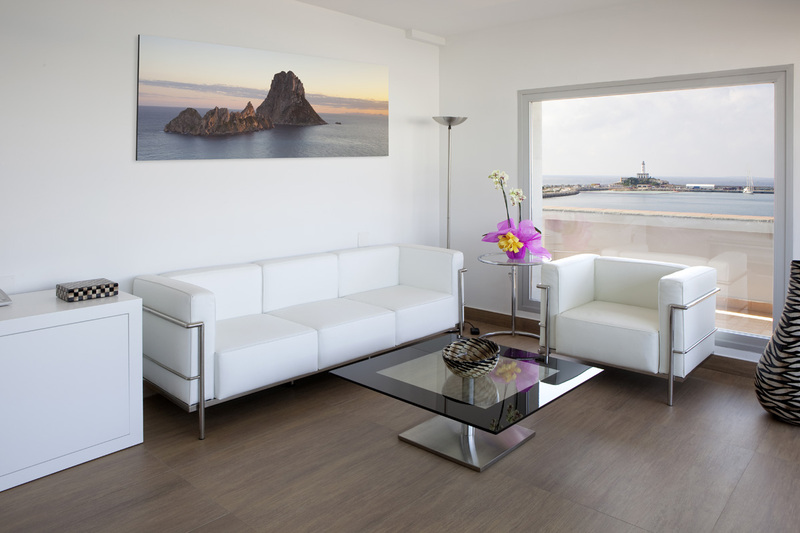 A glamorous, stylish option that boasts impressive views over to Formentera, as well as an impeccably designed bathroom and living area. 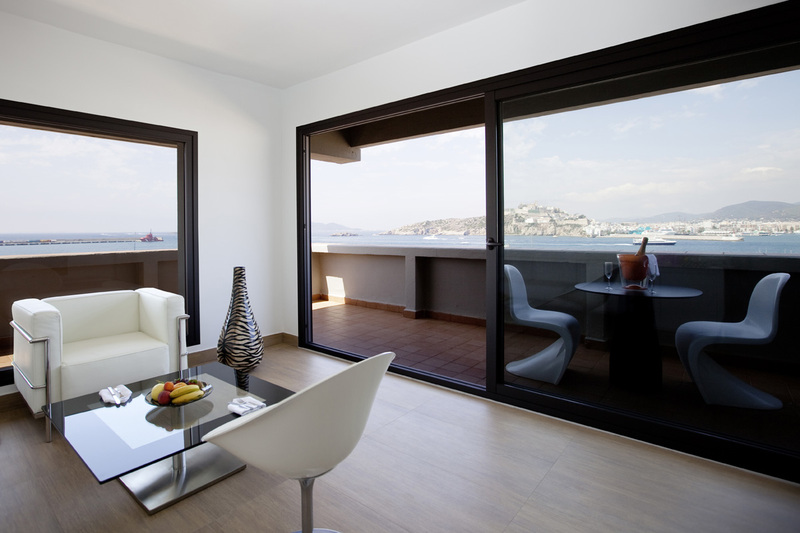 Egyptian cotton bed linen, glass walls in the living room and a terrace with a jaw-dropping view of Dalt Vila. 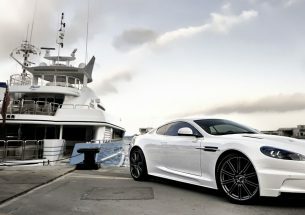 It doesn’t get better than this. 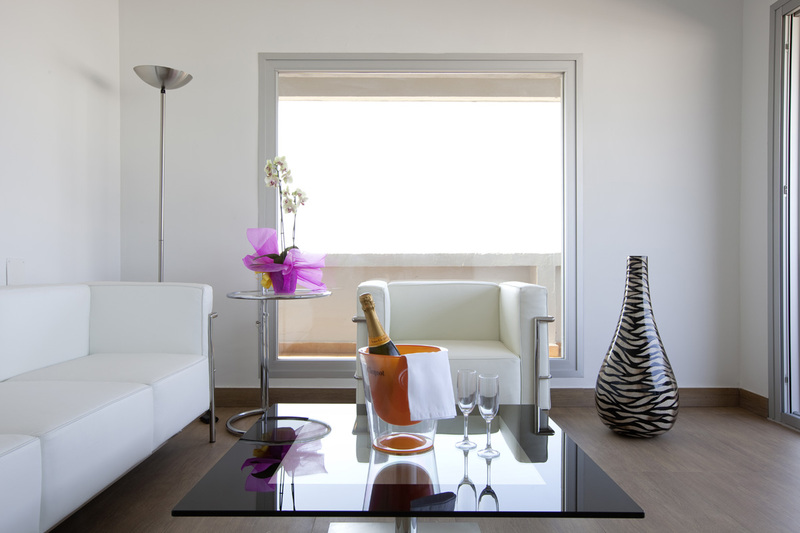 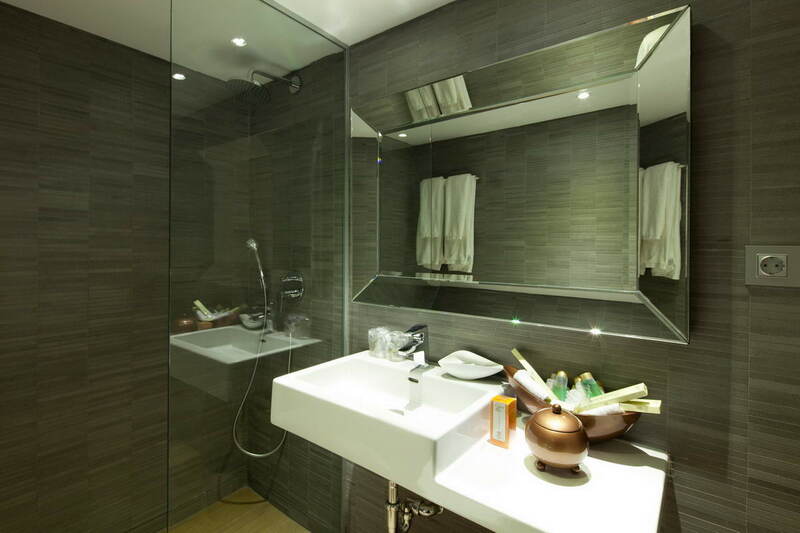 You’ll soon become accustomed to the pure luxury of this suite, as it greets you at every turn. 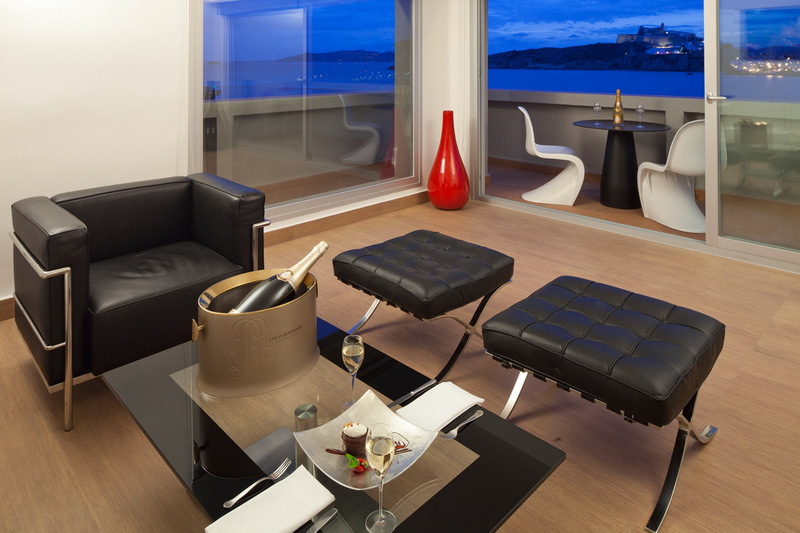 The ultimate space for a lavish sunshine break.